The exhaust system of your car is made up of a series of piping which is designed to guide harmful exhaust fumes away from the engine. These fumes generally flow through the manifold, perhaps to a catalytic converter, the resonator, and then out through the muffler that is connected to your tailpipe. It goes without saying that all of these parts have to properly function in good working order for the whole system to work. If there is a problem with any of them, poisonous fumes could get into the vehicle, which could be very dangerous for both you and your passengers. If you notice any of the following signs you need to get your car into the shop as soon as you can. Leaks might develop in the manifold or gasket over time. Start by looking at your engine and then work your way back to the tailpipe looking for minor leaks. The area where the manifold is connected to the cylinder head is a common place to find a small leak so be sure to give it your attention. If you notice that you’re not getting the same level of mileage out of your vehicle as you used to, it’s quite possible that there is a leak or similar problem with the exhaust system. The greater fuel consumption is another common signal of an exhaust leak – when your exhaust leaks the engine needs to up its game to keep your car running. The increased workload on the engine leads to larger fuel consumption, meaning that you’ll get fewer miles to the gallon. If that sounds familiar have a local mechanic take a look at it for you. When the engine is running you may notice a hiss or a popping sound. The sound may or may not be accompanied with patches of burned paint located near the exhaust ports. Make sure that you listen to the sounds coming from your tailpipe – if there is a whistle or high pitched sound coming from it this is a tell-tale sign of a build of pressure that can cause associated leaks. If that’s the case take your car in to be checked out. When you touch your steering wheel or the foot pedals of the vehicle you may feel a small vibration that you hadn’t noticed previously. More often that not this is caused by a rusty exhaust. This is a common problem for vehicles that are used predominantly for short trips because the pipes do not warm up enough to get rid of the water that tends to collect there. When this condensation builds up it can cause the system to rust. Get any vibrations checked out early so as to avoid greater damage further down the line. If you hear any noises coming from your exhaust that is an immediate red flag. That said, even if you don’t hear anything, your exhaust could still be leaking. When you check your exhaust system make sure that your vehicle is left running as this is more likely to reveal the location of leaks. If your vehicle is more than three or four years old you should have the exhaust system checked every year or two for wear and tear. Even if there are no leaks that are obvious, an assessment can reveal minor issues that should be repaired straight away before they turn into bigger problems such as leaks or worse. As ever, regular maintenance is key! 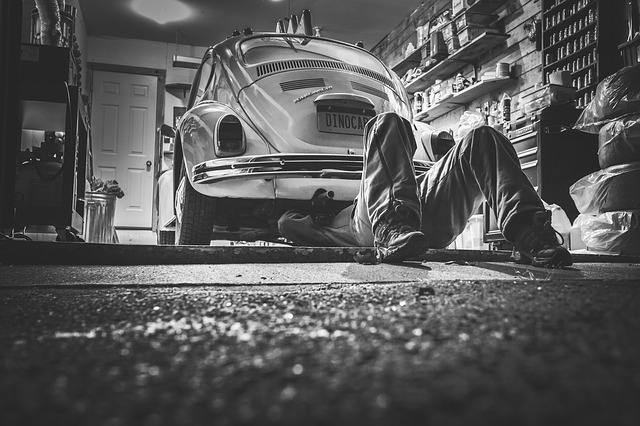 The cost of repairs associated with an exhaust leak is obviously dependent on the make and model of your car. If you catch the damage early enough the cost of the repair will be significantly lower. If you’re worried at all about something being wrong with your exhaust system it is best to have it checked out sooner rather than later. Although that was short and sharp, we hope that it was also helpful. Let us know what you think, or if you have any exhaust leak symptoms to add below. We’d love to here from you. You can find out more about how an exhaust works here.